Zac and Katie came down to the lake Sunday. The cousins are always glad to see each other and have fun playing together in and out of the water. 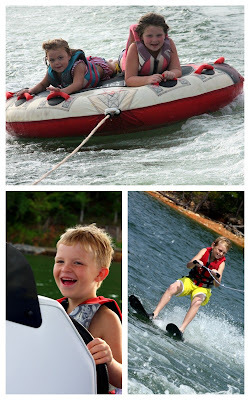 Brylee and Katie tubed, Jackson skied and Zac had a great time being the boat captain and yanking them all over the lake... thank goodness uncle richard was close by or he might have thrown them in the woods a few time! :) LOL!